Sierra Club Quebec is looking for a student to help developing awareness materials about the environmental impacts of the Trans-Pacific Partnership (TPP). The student will work under the supervision of the project coordinator, in collaboration with volunteers and staff of The Sierra Club of Canada Foundation in Montreal and elsewhere in Canada. The position is financed by the Government of Canada through the Canada Summer Jobs Program. Sierra Club Quebec is the Quebec chapter of the Sierra Club of Canada Foundation, a charitable organization built on the strength of its members, engaging people to protect, restore and enjoy a healthy and safe planet. The Quebec chapter is directed by a group of devoted volunteers engaged in campaigns on water management, protection of green spaces, protection of urban biodiversity and energy transition. 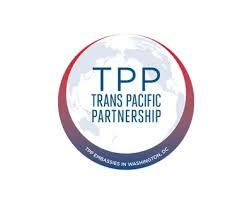 Conduct research on Trans-Pacific Partnership (TPP) based on information already gathered and external sources. Develop awareness tools: blog, info-graphics, video’s etc. Student in environment, international relations, international commerce, environmental law, international law or other related field. Full time student during season 2015-2016, with intention to continue studying. The position is for a period of 6 weeks (216 hours), at $10.75 per hour (minimum wage).